Does my tile or stone need to be sealed? What type of sealer should I choose? Will it make my tile or stone stain proof? How often should I reseal? These are some of the most common questions I have been asked during my nearly 30 years in the care and maintenance business. It’s very easy to understand the confusion and difficulty that many struggle with, whether you’re selling, specifying or applying sealers. Along with the tremendous growth of the tile and stone industry has come an explosion of new companies and experts to clarify the simple question of sealing. While there are many in the industry that can put this issue in proper perspective, there are an equal number who tend to undersell and oversell sealers both in terms of the need to seal and the performance benefits they can achieve. First, let’s look at the most important question, “Does all-natural stone or tile need to be sealed?” The answer is no. 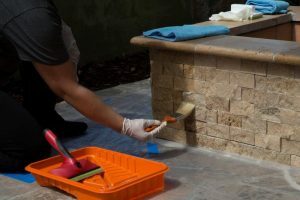 While all-natural stone and some ceramic tiles are porous to one extent or another, we must take into consideration the answer to several questions. Where is the tile or stone being installed? Is this a kitchen countertop, a lobby floor in a hotel, a patio and pool deck or a residential shower? What are the expectations of the owner? How will the installation be maintained? While some prefer the look and appeal of an old world, rustic European-style installation, most of us would like our tile and stone to look essentially the same 10 years from now as it did when originally installed. Sealers can help here. With the exception of glazed ceramic, most porcelain tile and a select few natural stones, sealing your tile and stone is highly recommended. Testing your tile and stone, both sealed and unsealed, with contaminants common to the area of installation is also very beneficial. The next most commonly asked question: “What is the purpose or benefit of a sealer?” Sealers are primarily designed to deliver two benefits to the installation; provide a given degree of stain resistance and a certain amount of reaction time. If the concern is to repel dirt, mud and common water-based stains, then a general water and stain repellent will work just fine. If the concern is food or exposure to harsh chemical and cleaning agents, or simply to provide the highest level of protection, then a premium-quality water and stain repellent will be required. As with most things we buy, price often dictates performance in choosing the appropriate sealer. Again, testing the tile or stone with the contaminants likely to be encountered is recommended to ensure the desired results are achieved. Be sure to follow the manufacturer’s directions for the method and number of applications to apply relevant to the tile or stone’s absorption rate and overall square footage. Too often the right number of applications is applied, but on highly porous tile or stone, the sealers are stretched too thin and adequate coverage and overall stain resistance is not achieved. With all the sealers available today, we often hear, “What type of sealer is best for my tile or stone?” There are three main categories to consider. Natural look impregnating or penetrating sealers do not change the look of the tile or stone and can be used on any porous surface including both interior and exterior applications. Too often the right number of applications is applied, but on highly porous tile or stone, the sealers are stretched too thin and adequate coverage and overall stain resistance is not achieved. 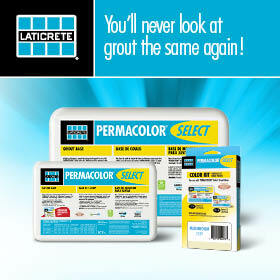 Color-enhancing sealers are extremely popular but generally used on natural stone. These sealers are also impregnating or penetrating in nature, which deepens the color of the stone but does not change the surface sheen, texture or slip resistance. Most are designed for interior use only, though some, are also suitable for exterior conditions. The last category of sealers is topical or coating sealers. 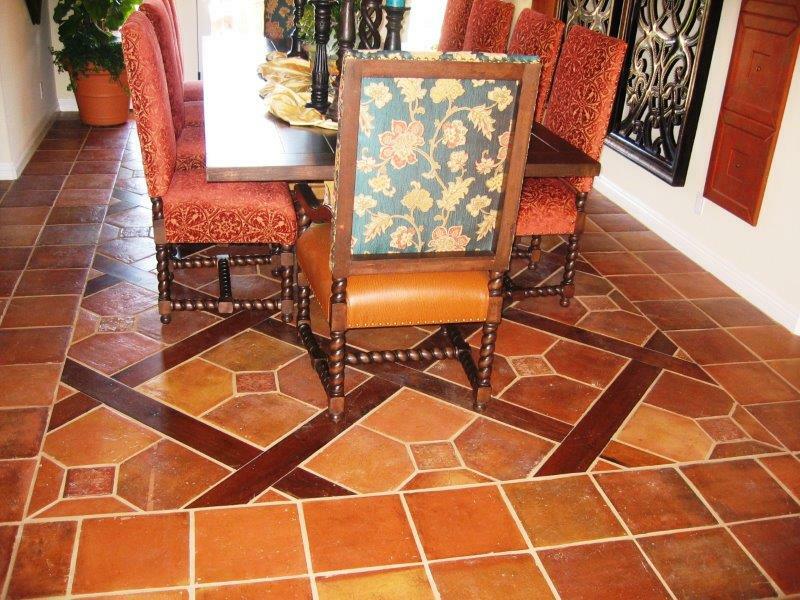 These sealers can bring out some color in the tile or stone and do provide a low to high sheen coating. They are generally recommended for interior applications and will change the slip resistance to some degree. With all sealers, test on sample pieces of your tile or stone and call the manufacturer for additional information and recommendations. Most companies provide a toll-free number on their bottles for technical assistance and welcome questions up front to help identify the best sealer for your installation. Websites are also a great place to get information. Some companies offer a live chat service to further assist customers in making the right choices. Follow directions when applying any sealer. Finally, the last of the most popular questions asked: “How often should I reseal?” If there were one universal answer, it would make all our jobs much easier. The reality is it depends. So, what are the variables that influence resealing? Is the installation residential or commercial? Is it interior or exterior? Is it an entry or a shower? Will it have wear and tear from five people or 5,000 people a day? Is it a floor or a wall? How will it be maintained? This is a short list but hopefully it makes the point. 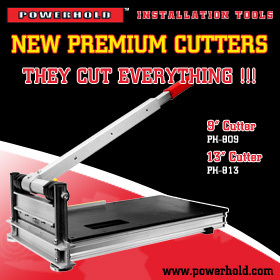 Two ways you can narrow the estimate is to first call the manufacturer and give them the answers to these questions. Second, do a periodic water droplet test or look for water penetration (darkening) when you clean. 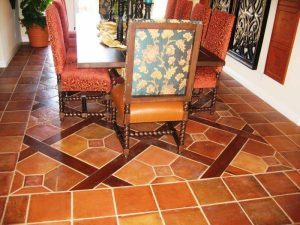 It’s not a perfect test but chances are if water is darkening or absorbing into your tile or stone, so will more sealer. To ensure maximum performance of the sealer and maintain the beauty and function of your installation, use cleaners designed for tile and stone. Common grocery store cleaners and most of those found at janitorial supply stores can have damaging effects. Water test on granite countertop. If you see this result, it’s time to reseal. 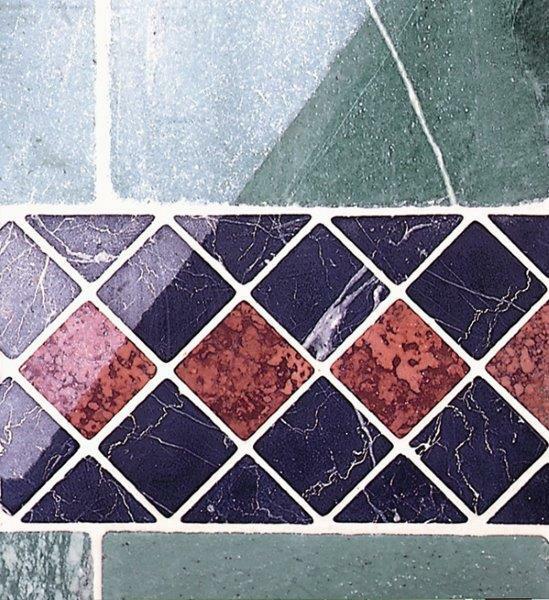 Tile and stone are rich in beauty, character, design and durability. Using a sealer to help preserve the beauty and reduce ongoing maintenance requirements should not be over or undersold. While we have covered several key questions regarding sealers, the charts below will help supplement and summarize what sealers DO and DON’T do. Remember, read all of the manufacturer’s recommendations before use and call the manufacturer’s technical assistance number to ensure your tile and stone installations become a showcase, not a case study of an install gone wrong. Make your installation stain proof. Make your installation maintenance free. Allow you to use any cleaner for ongoing maintenance. Last forever with one application. Make freeze-thaw sensitive tile or stone stable during freeze-thaw. Stop etching on calcium-based stone. 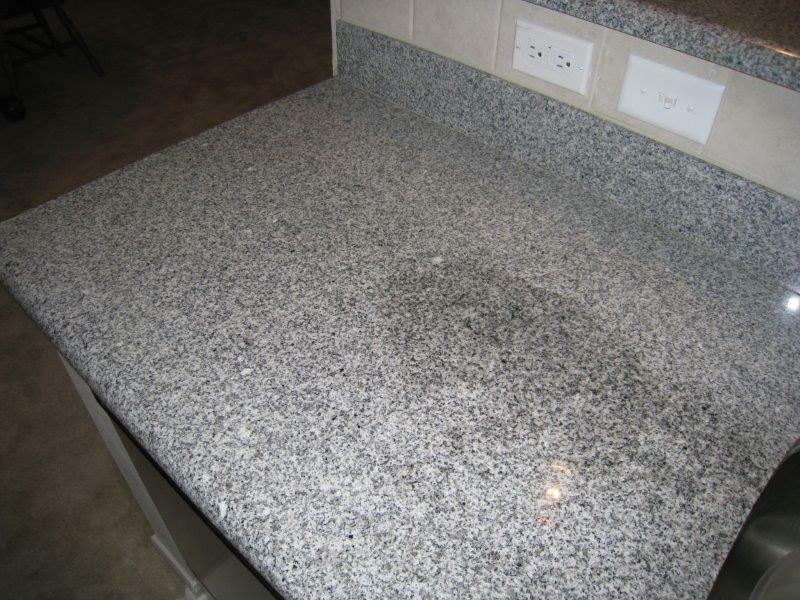 Provide a given degree of stain resistance and reaction time for cleanup. 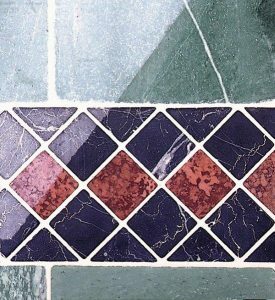 Preserve or enhance the appearance of tile or stone. Minimize the severity of etching on calcium-based stone. 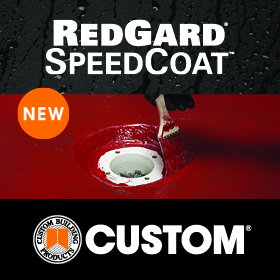 Provide long lasting protection when premium sealers are used.